Rünge Karosserie began in a rural Minnesota barn. The very place where Christopher Runge, 25 years prior sat in his first Porsche while it was being stored for the winter season. That Porsche left an impression on Christopher that he would never forget. A lifelong passion for the Automobile and more specifically Post WWII German design grew as Christopher owned and modified several Porsche vehicles over the years. 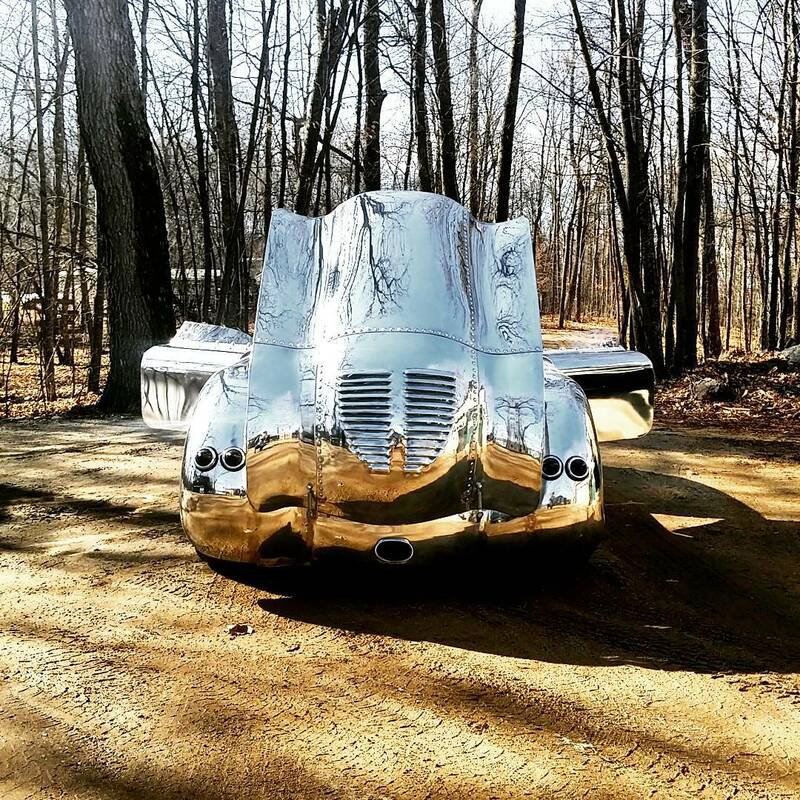 In 2011 he departed on a new journey, to hand hammer his own aluminum bodied car. The goal was not to build a replica but capture an era through a simple yet beautiful design. Beginning with a simple drawing Christopher set out to design and build his first creation. With a shoestring budget, limited tools and basic fabrication skills, Christopher began studying Traditional "Toolroom" Coachbuilding techniques and soon the Monoposto Frankfurt Flyer came to life. The completion of FF001 was such a satisfying experience. To not only dream of the concept but day after day watch it come to life through a very steep learning curve was unlike anything I had done. I felt empowered almost every day as I learned new techniques and watched the car take shape. Finally, the day came to turn the key and drive." It wasn't long after completion that a local car collector took notice and asked Christopher to build FF002. Number 2 was designed to be a 2 seat Spyder with similar mid-engine, Post WWII German era styling. 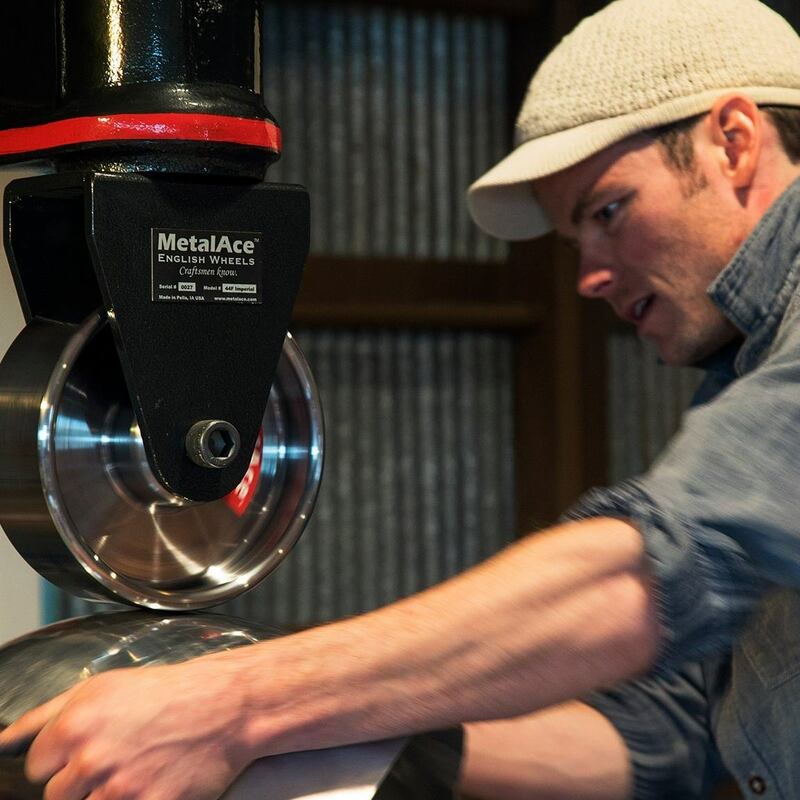 Christopher has since built 9 bespoke vehicles each focused on an era specific design. The buck for FF001 was completely built from scratch with a jig saw and plywood. Christopher first built the longitudinal strips over the wheel arches to get the design profile. Then moved to the lower recess inside the wheel and finally strung each section together shaping the wood by eye. 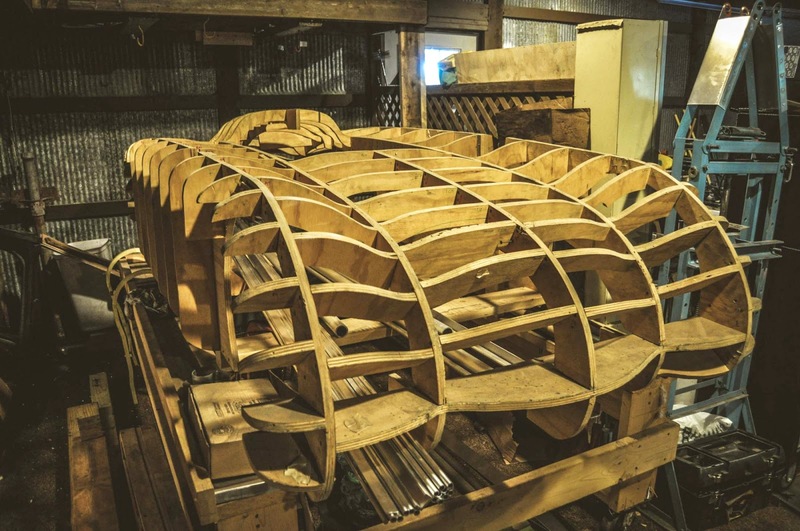 This process is similar to what local century old boat builders used called "lofting."